5.5"H Resin-stone mix. Butterfly dangle. Verse: Simple Joys of Life. 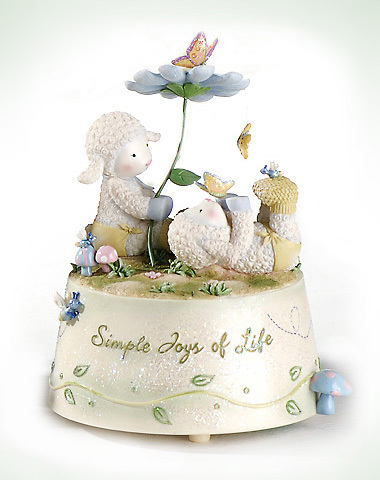 This baby musical features two little Lamie Pie characters playing and exploring nature. Hand painted with many details butterfly dangle and firefly attachments make this musical a wonderful addition for your baby nursery.